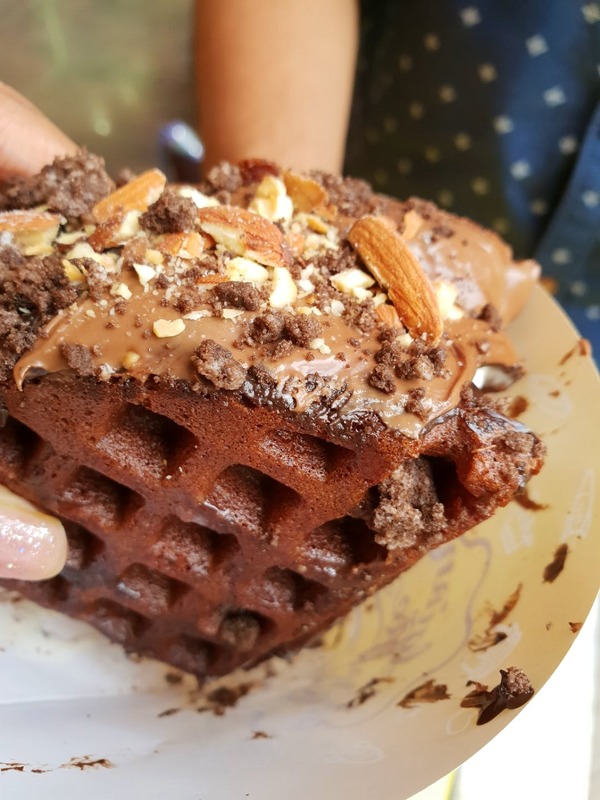 The Belgian Waffle Co. is a great option to have waffles in Saket. They have an amazing variety of waffles - sweet, savoury, and waffle sandwiches. Not just waffles, they have some delicious shakes to offer too. I absolutely loved the red velvet waffle with mango - it had the perfect amount of sweetness and is a must-try. The waffles were perfectly baked and were not soggy. I also tried the Nutella waffle, it was heavenly. From the savoury waffle menu, I had the pizza waffle; it was bursting with flavours of cheese and oregano. The Rocky road wafflewich was again a stellar dessert, it was sinfully indulgent. The wafflewich is yet another must-tries for dessert lovers. Oh, and the best part? Everything on the menu is vegetarian.